I wrote in Some problems, citing Koch, that it was suspected, though not proved, that d'Orville had entered the Academy in Antwerpen and studied as a painter. 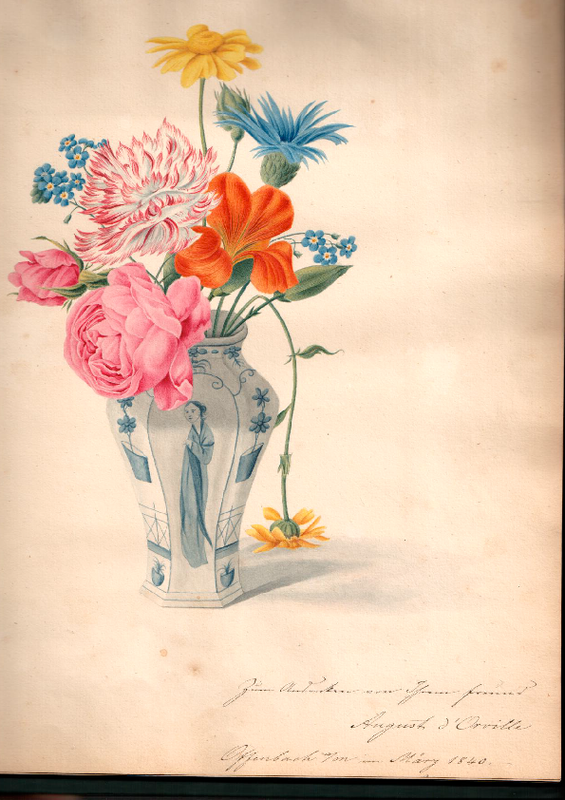 I was therefore very interested when David Wilcockson, whose wife's father and family came to England from Frankfurt just before the war, recently sent me a scan of a page from a nineteenth-century scrapbook in the possession of the family. This scrapbook includes pictures and manuscript music, and one of the pictures is accompanied by a signature "August d'Orville" plus "Offenbach" and "März 1840". Offenbach is quite close to Frankfurt, and "d'Orville" cannot have been the most common of names; this must surely be our man. On the evidence of this picture, he was not merely a painter but a very talented one. For a scan of the relevant page, click here; for an enlarged scan of the signature and accompanying text, click here. 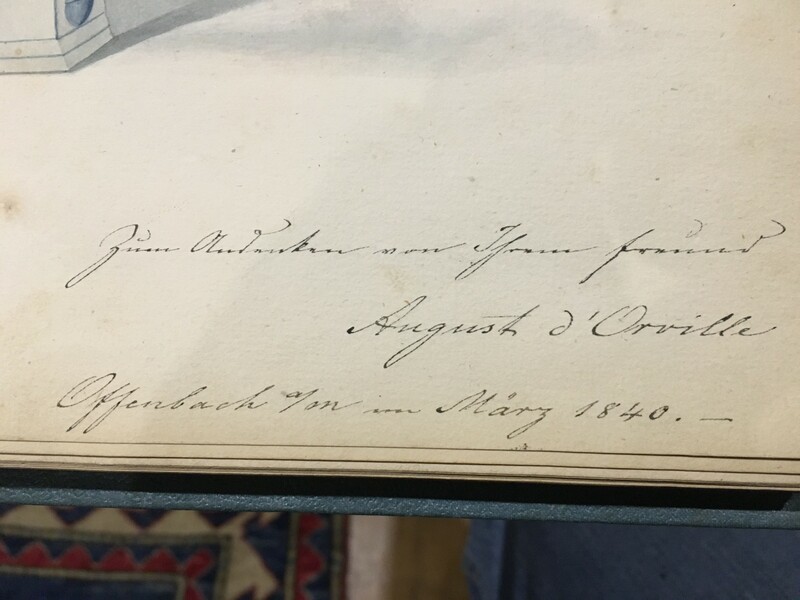 We may notice that although he was to use the spelling "Auguste" in his 1842 book, here he is signing his name in its original German form. My thanks to David for agreeing to the posting of these scans.